In this paper, Conny McCormack, long one of the country’s most important and influential election officials, rightly argues that technology leaders have a critical role to play in improving voting throughout the world. This is especially true in the United States, where much of the country faces a crisis of aging voting equipment that has become increasingly difficult to maintain. By working to create affordable voting systems that are more inclusive, secure and accurate, technologists can help strengthen something that is essential to any functioning democracy: public trust. Elections are a capital investment by society to address and hopefully choose a path forward in peace. The tangible/intangible is always “trust” – in the process, outcomes, and results. This vital Atlantic Council contribution spotlights the kaleidoscope of challenges confronting all stakeholders in all elections. The definition and deployment of Twenty-First Century election technology lacks consensus due to a combination of demographic, political and technological dilemmas unique to each country. Like confronting icebergs where 90% of the mountain is hidden from visibility, this paper allows policy makers to appreciate the global debates as well as national successes and retreats in the deployment of election technology to secure “trust.” This is an important read. As the United States enters a crucial election this year, it is important to remember the policies and tools which support our elections are critical to the strength of our democracies. The Atlantic Council report expertly outlines the importance of the role of technology in elections and how governments can strengthen the benefits of technology. At a time of deep partisan divide in the United States it is vital that our elections are transparent and trustworthy. This paper provides a roadmap for how policymakers may look to advance stronger elections. Join via webcast for the launch of the final report on this year-long initiative. From small start-ups to major corporations, technology has disrupted and revolutionized business, civil society, and our daily behavior. Technology has infiltrated the most ordinary tasks—like calling a taxi—and created extraordinary possibilities—like students in rural villages streaming classes taught a world away. As both consumers and citizens, people have come to expect the world to keep pace with modern technology. Yet elections remain relatively untouched by technological advances. While some countries seize newly available electoral tools, many remain wary of them. Governments and electorates are grappling with how to embrace the digital age and its benefits while maintaining integrity and legitimacy, ensuring strong democracies. The Atlantic Council believes that technology’s forward march is inevitable and its use in elections will accelerate. Our role as a policy think tank is to ask how best to insure that its implementation in countries large and small enhances access, expands participation, and strengthens democracy’s credibility. It is for this reason that we hosted a year-long initiative to consider the issue of technology’s responsible implementation in elections. With events in Silicon Valley and Washington, DC, the Atlantic Council convened thought leaders from the technology industry, electoral experts, democracy specialists, and government and international organization representatives to ask: What makes a legitimate election? And what role does technology have in strengthening that? Technologists believe that the machinery is there; many election experts tread with caution. They are less certain that technology is the silver-bullet solution to challenges to democracy. But there is no doubt that technology is upending elections and governance as we know it. In fact, many aspects of elections readily accept technol- ogy to register voters and map out polling stations, but the casting and counting of ballots remains an outlier. It is clear that there are pathways to responsibly using this technology as a means to address many of the obstacles in the electoral process. We have the rare opportunity to proactively and strategically engage this technology and ensure that its implementation strengthens democracies. We live in a time of increasing distrust between citizens and their governments. Technology can play a critical role in creating a more transparent, inclusive electoral process. To do this, technology leaders must reach out to key societal validators and stakeholders to forge partnerships designed to enhance democracy’s credibility. This report out- lines some of the ways technology can do that. The enthusiasm shown across industries for this initiative demonstrates a larger need to bridge the tech and policy worlds; too often, Washington and Silicon Valley allow their geographic distance to be reflected in their work. The issue of technology in elections should provide the occasion for a symbiotic partnership to create tools to promote transparent, engaged, thriving democracies. The Atlantic Council’s mission is to promote constructive leadership and engagement to create solutions to global issues. This paper puts forth policy recommendations that do just that. By establishing international guidelines, producing critical research, and strengthening independent electoral bodies, governments and their voters can look forward to elections serving twenty-first-century democracies. People around the world increasingly rely on technology in everyday life—from the ubiquity of PCs, smartphones, Internet banking and shopping, to using GPS for directions: The list is endless. Yet the process of casting a ballot stands in stark contrast, typically involving marking a paper ballot with a pen or pencil. And counting those paper ballots—even in many of the most developed, long-standing democracies—is often a manual process. Halfway through the second decade of the twenty-first century, the mechanics of the voting process remain largely rooted in the past. As the United States is on the brink of a critical election, and countries around the world prepare to head to polling stations to select their futures, this is a crucial moment to consider the voting systems used when choosing elected officials. Former US Secretary of State Madeleine Albright has long been a leader in the democracy community. She now serves as the Chairman to the National Democratic Institute. At a moment of profound political divisions and growing distrust between citizens and their governments, transparency, accuracy, and credibility are more important than ever. Of course, the larger electoral context encompasses a free press including equal access to media for candidates, protection against violence, and fair campaign finance laws. These key factors are emphasized in an internationally recognized assessment by former UN Secretary-General Kofi Annan in an extensive report on elections: “Deepening Democracy: A Strategy for Improving the State of Elections Worldwide.”1 The selection of a voting system is one of an electoral authority’s most important decisions. With all the ways technology has advanced communications, health care, banking, and beyond, what role can it play in strengthening elections? As countries seek to increase participation, credibility, transparency, and access for all voters, governments must also consider the obstacles— both concrete and perceived—to introducing technology into the democratic process. With an increasingly tech-savvy electorate, how can governments responsibly keep pace, including determining the electorate’s expectations about incorporating new technology into ballot casting and counting? As people increasingly use technology for a wide array of everyday functions, is there something categorically different about using technology as a consumer of goods and services compared with using technology as a citizen? Is there something categorically different about using technology as a consumer rather than as a citizen? The conference also included keynote remarks from Madeleine Albright, former US Secretary of State and current Chairman of the National Democratic Institute (NDI), who described technology as a tool that has empowered citizenry worldwide. A private breakfast preceding the conference featured remarks from former Congresswoman Susan Molinari, who now serves as Google’s Vice President of Public Policy and Government Relations. She described how Google technology, launched in partnership with The Pew Charitable Trusts’ Election Initiatives, is helping tens of millions of US voters find where to go to vote.4͘ In a world of pervasive technology, she spotlighted the frustration that if you aren’t within four blocks of where you live you can’t vote, but in a war-torn country you can still use an ATM. Issues of trust and access dominated these discussions. Panelists grappled with big-picture questions of how technology could impact the very make-up of government, to issues of implementation concerning cost and infrastructure. The overarching consensus from the Atlantic Council events is that the time is ripe to reboot the conversation about the future of technology in elections. Participants emphasized the chasm between the ubiquitous use of technology in people’s lives and the need to align and integrate the voting experience with the modern world, including bridging the generational gap. This report is a result of the findings of these events, together with a snapshot world tour of a range of countries’ experiences. The paper culminates with recommendations to advance the goal of enhancing and modernizing the electoral process for voters worldwide. It seems like no industry has escaped the impact of the technological revolution, yet elections remain an outlier. While some countries have incorporated the newest tech- nologies, others carry on with the pen and paper of centuries past. Certain areas, such as voter registration, have benefitted from a greater willingness to use new technologies than others, such as ballot casting and counting. Online voter registration is more frequently available where self-registration is required.5 In the United States, online registration is growing exponentially, from two states in to twenty-nine states today. When Great Britain launched the option of online registration in March over two million Britons registered to vote online during the five weeks prior to the deadline for the May 7,2015, national election.6 In Great Britain, the age group of twenty-five to thirty-four applied online in the greatest numbers, bolstering the electoral participation of this chronically underrepresented demographic.7 Online voter registration has resulted in more complete and accurate voter rolls. An added benefit is the significant labor cost savings compared with hand-written paper forms that are often illegible and marred by data-entry errors. Check-in at voting locations is beginning to move away from printing and assembling hundreds of pages of voters lists, to presenting poll books on tablets or other electronic devices. Smartphone applications show voters their polling station location. Uploading unofficial election results to government websites on election night has become common. The process of electronically transmitting election results from voting locations to the central election headquarters to get a quick, unofficial count on election night is rapidly expanding in dozens of countries including Albania, Ecuador, Finland, Panama, and Zambia.8 Indeed, speed of the vote count has proven essential to public perception of legitimacy, particularly in developing countries. Estonian citizens can vote online, which some countries aspire to while others remain deeply wary of (see Internet Voting: A New Frontier). Accuracy and speed can be improved by using vote casting and counting technology, but universal implementation remains elusive. While approximately one-third of democratic countries are incorporating available technology into some piece of the voting process, others are shying away from doing so. The complexities and competing priorities of a country’s political and cultural environment are critical factors when government decision-makers grapple with available voting system options. It is clear that trust is the cornerstone of any election. Bill Sweeney, President of IFES, identified two critical questions surrounding this issue: Will the electorate believe the outcome of an election? And will politicians accept the outcome, and be “good losers?” The volatile environment surrounding elections makes people wary of rocking an already-precarious boat, and stymies implementing sweeping changes. Participants at both Atlantic Council events discussed trust differences between using technology as a consumer compared with using technology as a citizen. The consumer arena involves a private transaction of choice, whereas voters must use whatever technology and systems the government supplies. Lord Mark Malloch Brown said people have detached elections from the rest of their environment and activities. The issue of voting technology is a public policy matter within a larger context of change. David Rothkopf, CEO and Editor of the FP Group, opined that there is no political will to change the inner workings of how people vote. The complexities of a country’s political and cultural environment are critical factors when governments grapple with available voting systems. Introducing electronic voting incrementally via pilot projects to build trust and familiarity enhances the opportunity for success and acceptance.9 By including political parties, civil society, and nongovernmental organizations in the decision-making process, governments can build a wide base of support, knowledge, and familiarity for these changes. Launching a robust public education and awareness campaign is another essential component to educating voters on the use of the system, communicating the goals and objectives for implementation, and providing public feedback mechanisms. While the President’s approval rating has dropped into single digits, and trust in Brazilian institutions fell over percent between and there is little dispute over the validity of the elections.10 The independence and competence of Brazil’s electoral court and commission is reflected in positive public perception. The integrity of electoral institutions is crucial to engendering and sustaining public trust and acceptance of electoral outcomes, and such trusted institutions have credibility when proposing the adoption of election technology. Despite an impressive list of benefits, why hasn’t electronic voting seen wider implementation? There is overriding consensus that voting systems must be reliable, accurate, secure, and meet established performance standards. Yet disagreement emerges regarding the perceptions of the strengths and vulnerabilities of electronic voting compared with paper ballot voting, and the weight given to multiple criteria for evaluation. Accuracy of the count; speed of ballot tabulation; auditability; transparency; ballot security (including susceptibility to fraud or manipulation); voter convenience; equipment costs; and accessibility for all voters, including those away from the region, those with disabilities, and multilingual considerations are all factors impacting the decision. The desire for greater electoral participation and the issue of whether or not a voting system can impact voter turnout also enter the debate. With a lack of universally accepted standards for electronic voting, there is ample room for questionable practices and concerns about fraud and ballot manipulation. The disparate experiences of various countries have led to a lack of consensus on the best way to conduct a legitimate, transparent electronic election. Countries have undertaken implementation of new systems at different times, motivated by the political climates and demands of the electorate. The last five years have seen a dramatic and dichotomous transformation, whereby some countries have expanded implementation, and others have reverted back to paper ballots (see figure). OSCE elections observers, including Georgian Parliament Member George Tseretlei, gather outside a polling station in London in May 2015. The primary incentive for adopting electronic voting is to increase the accuracy of ballot counting to reflect the will of the voters, including by preventing fraud (ballot box stuffing). Fraud prevention is a delicate issue in every discussion of electronic voting as it is held up as a principal benefit and a principal concern. With an increasingly tech-literate electorate, many countries— especially in the developing world—are placing greater faith in the precision of technology. Reducing or eliminating human error (or deliberate manipulation) has proven a positive impact in countries that have successfully implemented electronic voting. Another key impetus is faster compilation of election results. Speedier release of results boosts voter confidence in the counting process and enhances acceptance of the electoral outcome. Delays can foment suspicion and mistrust, and have historically contributed to public mistrust, occasionally resulting in civil unrest and violence. The capacity for built-in functionality such as audio headsets and options for enlarged print on screens facilitates voting for growing populations of disabled and elderly voters. Displaying the ballot in a choice of languages allows all voters to cast ballots in their preferred language. With an increasingly tech -literate electorate, many countries—especially in the developing world—are placing greater faith in the precision of technology. Concerns about electronic voting are both real and perceived; but perception and trust are both critical components in any election and directly impact the ability to govern. Security and cost emerge as principal concerns surrounding electronic voting. Security: Pervasive concerns about data security, privacy, and transparency dominate the electronic voting debate. The avalanche of recent cyber-security headlines heightens fears of a compromised election. Private companies, like Bank of America and Target, as well as the US government have suffered massive data breaches in recent years, leading to widespread concern over the security of all electronic systems. Instances of hackers in a laboratory setting compromising an electronic voting machine when given physical access to the equipment has shaken public confidence and influenced policymaking decisions. There is widespread misunderstanding about the susceptibility of electronic voting machines to manipulation. Electronic, stand-alone machines are neither networked together nor connected to the Internet. Unless accessed and infiltrated one by one, it is impossible to carry out a large-scale, system-wide hack into the machines. Confirmed instances of hacking into commercial and government websites and databases center on systems being connected to the Internet. This lack of distinction has blurred the public’s impression regarding voting system security issues. Procedural enhancements address security concerns and increase transparency in elections. These include openly conducting rigorous preelection testing and postelection auditing of the vote count;12 introducing third-party, independent auditing of voting system software and source codes; inviting political party representatives and outside observers into all stages of the election process (these include regional observation bodies like the Organization of American States or nonprofit organizations such as the Carter Center); and parallel vote counting (an election observation methodology based on random sampling of voting sites to independently verify election results). This procedure—usually associated with paper ballot voting—has been used with electronic voting to validate system accuracy.13 The experience of countries highlighted herein illustrates that incorporating such measures into the electoral process can increase voter confidence. Many elements of the voting process have gone electronic: the United Kingdom implemented online voter registration just weeks before the 2015 election. Any security assessment must weigh the risks of an electronic ballot against those of a paper ballot. When using electronic voting machines, equipment malfunction and potential security breaches are the dominant concerns. Alternatively, paper ballots can be lost, misplaced, or stolen. The issue of cost, both for initial acquisition and maintenance of electronic voting machines, looms large when governments contemplate voting system implementation. Little information exists to determine whether electronic voting is ultimately more or less expensive than paper ballots.14 Procuring a voting system is an infrastructure investment, often falling outside of annual governmental operating budgets. Cost calculations must consider the voting system’s expected life span, and budget for updates and replacements. Some countries, such as India and Namibia, have acquired low-cost equipment with minimal functionality that meets basic needs. However, systems equipped with sophisticated features such as the ability to load complex software to accommodate multiple languages and audio interfaces, the capacity to present ballots with hundreds of different ballot combinations, and the addition of a voter-verified paper audit trail (VVPAT) cost significantly more. There is little analysis available on the costs of using paper versus electronic ballots. 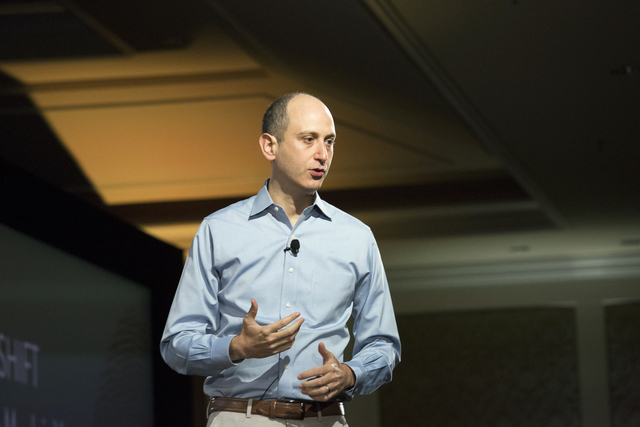 Election technology companies are confident electronic voting is ultimately less expensive than paper ballots; however, such research has yet to be produced from a third party. The Deputy Director of the UN’s Electoral Assistance Division, Tadjoudine Ali-Diabacte, noted that over the last ten years the UN has seen a tremendous increase in requests from different countries for assistance—both technical and financial—in updating their voting systems. He said that without the availability of proper cost-benefit analysis, it is difficult for countries to decide on a sustainable path forward regarding electoral equipment. Which countries have reaped the benefits of electronic voting, and what factors contribute to their sustained success? What can be learned from examples in other nations, several of which successfully implemented electronic voting for a number of years but subsequently returned to pen and paper? Obstacles have ranged from opposition by organized community groups and political parties to insufficient trial periods to inadequate regulatory and certification processes. Below is a brief look, including a closer examination of several countries’ experiences. In recent years countries in South America, Asia, and Africa have been active in conducting pilot programs using electronic voting, including Ecuador, Mexico, Nigeria, Nepal, Peru, and the United Arab Emirates. In 2014 Namibia became the first African country to deploy electronic voting machines for all of its 1.2 million voters, almost half of whom are under the age of thirty-five. India and Brazil, each with more than a decade of experience using electronic voting, have shared their experiences with other countries, including by providing equipment to neighboring countries to pilot electronic voting. Bhutan successfully conducted fully electronic national elections in July 2013 complicated picture emerged when Brazil loaned voting equipment to Paraguay. The need to address issues of an expansive, diverse electorate in India created an environment receptive to electronic voting technology. India’s internationally respected electoral commission has often been cited as the keystone of the country’s successful elections. An independent constitutional body, the Election Commission of India is not a political body, and its respected status has allowed the country to implement new voting systems targeted at creating more inclusive, accurate, and legitimate elections. Transparency is a top concern. The Indian government invites agents of political parties to check the equipment prior to deployment, and video recording of electoral preparations is standard procedure. It recently added printers to some machines to produce a VVPAT. This feature has been included in systems around the world, and was piloted in India in the 2014 general election. The need to address issues of an expansive, diverse electorate, coupled with the country’s strong independent electoral commission created an environment receptive to electronic voting technology and has been instrumental in making India an ongoing success story. Like India, Brazil has a robust, independent body dedicated to operating the country’s elections. The Supreme Electoral Court (TSE) organizes and conducts national elections in Brazil. The President of the TSE, Justice José Antonio Dias Toffoli, has described the long and trusted history of the judiciary’s role in administering elections since 1932 and the critical process of rotating who sits on the court every two years. Following pilot projects in local elections in 1996, Brazil launched electronic voting as a national project in 2000 with a dedicated public information and voter education campaign. The country’s National Institute for Space Research—a well-respected, nonpartisan technical institution—developed and implemented the software and national standards for the electronic voting system. This institute continues to conduct independent testing and verification of Brazil’s election machines. Fraud prevention and speed of ballot count were key motivators for the implementation of electronic voting. Brazil’s 2014 presidential election saw 114 million ballots cast on five hundred thousand electronic voting units deployed across this huge and geographically diverse country. Election results were released within just two hours of polling stations closing. The voting system in Brazil is widely accepted as legitimate by domestic actors and international observers alike. Political parties are given access to the voting machine software for auditing, and in 2009 the country hosted a "hack-a-thon" where thirty-eight participants from private and public information technology companies, working in teams, tried unsuccessfully to tamper with the equipment’s software. As part of the continuing process of technology upgrade, fingerprint biometric voter identification was incorporated into the system in with project completion slated for. By educating the electorate on the benefits of electronic voting, the TSE was able to modernize the voting system of Brazil while maintaining the people’s trust. Implementing and updating the system successfully tackled key issues including accuracy and speed of ballot counting and reporting. Estonia is upheld as a pioneer in electronic voting as it is the only country to offer Internet voting to all of its citizens in national elections. This has been achieved through a systemic incorporation of technology in all aspects of Estonian civic life. For analysis of Estonia’s use of electronic and Internet voting, see Internet Voting: A New Frontier. For more than twenty years, electronic voting was the primary method in more than percent of the country. Electronic voting enjoyed widespread public acceptance, with local election officials praising fewer counting errors, the ability to reduce election-night staffing, and faster results.17 By the 2006 national election, after the city of Amsterdam converted from paper ballots to electronic voting, 99 percent of Dutch voters were using electronic voting machines. However, later that year, a small group of citizens and computer experts began a campaign under the banner “we do not trust voting machines.”18 Their representatives acquired two voting machines and appeared on TV to demonstrate how the system could potentially be manipulated and vote secrecy compromised. This generated additional media attention, raising questions about the security of the machines and lack of a recount mechanism. In response to growing public concern, the government established an independent commission to examine the issue. The commission noted that equipment requirements had not been adequately established and that security and system management were not properly regulated. Their report concluded that voting machines had received insufficient scrutiny, that there was overreliance on outside vendors for technical expertise, and outdated standards permeated the certification and testing processes.19 The government responded in 2007 by decertifying the existing machines. Elections reverted to hand-counted paper ballots in the 2009 elections. Ireland implemented a small pilot program to test electronic voting in 2002, and quickly scaled up to the national level. Authorities purchased electronic voting equipment in 2004 in anticipation of country wide deployment for the European parliamentary election. An ensuing public backlash centered on system security and privacy concerns. The government formed an independent commission on electronic voting to examine the system. Although the commission’s report indicated the quality and design of the hardware and software was adequate and had been reliably used in Ireland and elsewhere, the commission did not recommend continued use without further testing and without security and usability modifications.23 Ireland purchased equipment from the same vendor as the Netherlands, and had to grapple with similar controversy when Dutch hackers also raised their concerns to discredit the Irish system. The Prime Minister defended the system, but opposition arose from both within his political party and other parties. the government decided against using the equipment, citing lack of public confidence. By then the cost to purchase and store the unused equipment had reached 54 million euros. the equipment was sold for metal recycling for less than 75,000 euros.24 Ireland is an example of the importance of incremental implementation. This is crucial not only to verify technical accuracy, but also to make the case to the electorate regarding the reasons why new election technologies should be implemented, allowing sufficient time to establish trust and public confidence. In the 2008 national election an independent populist candidate ran for President. Concerned about the strength of his candidacy, established political parties— which had previously advocated for the implementation of electronic voting—lobbied the electoral tribunal to support a return to paper ballots. The established political parties were successful in their efforts, and the government reverted to hand-counted paper ballots. Paraguay demonstrates the importance of stake- holder buy-in both when introducing new election technology and sustaining continued use. 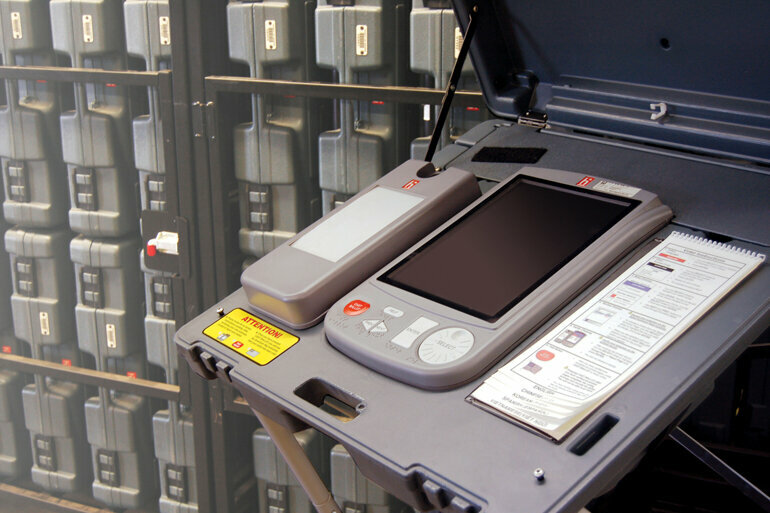 Despite the functionality of the equipment, surrounding circumstances and shifting political climates impact decisions regarding use of electronic voting. In Paraguay, candidates’ acceptance as “good losers” played a key role in the electoral outcome. The decentralized governmental structure in the United States extends into the country’s electoral processes. As a result, states and local electoral jurisdictions are responsible for making choices about voting equipment. Following the highly contested 2000 presidential election (with the infamous “hanging chads” in Florida, among other issues) the federal government allocated $3.2 billion to states to upgrade voting technology (see below for the US experience). Maryland used its federal funding allocation to implement touch screen electronic voting machines statewide in 2004. Subsequently, questions were raised about how to verify that the votes cast were truly the votes tabulated. By 2007, the state legislature mandated that the voting system must produce a voter verifiable paper record. Lack of state funding prevented system reconfiguration and voters continued to use the same machines through the 2014 elections with few reports of technical problems and widespread public acceptance. However, in 2016 the state will return to paper ballots. Maryland chose to lease an optical scan paper ballot system (in lieu of purchase) given the likelihood that voting technology will again change in the future.33 It remains to be seen how Maryland voters will react when presented with a paper ballot after twelve years of voting on electronic machines. The impact on public perception and voter trust will serve as an important metric for states to consider. There is woefully little published data regarding voters’ opinions about the voting systems they use. Maryland’s upcoming voting system transition provides an opportunity for research to collect data which could prove enlightening to shape the ongoing policy debate about voting equipment decisions in the years ahead. These case studies demonstrate the myriad factors to consider when implementing new technologies. In particular, these examples illustrate the importance of buy-in from political parties and the electorate. In November 2000 the world was transfixed for thirty-five days as the closest presidential election in US history was tallied. The vote count was thrown into disarray as images emerged of recount teams in Florida squinting at “hanging chad” on punch-card ballots, attempting to discern voters’ intent. Revelations about problems with accuracy surfaced not only with punch-card ballots but also with optically scanned paper ballots when votes were marked outside of the designated box. Though the majority of jurisdictions operated without problems, high-profile cases with razor-thin margins highlighted the need for improved accuracy and led to a nationwide consensus to modernize voting equipment and restore public confidence. In the aftermath of the election, a number of major institutions in the United States such as Caltech, MIT, and Harvard universities as well as the Carter Center initiated projects to propose election reform. Subsequently, the federal government enacted the Help America Vote Act (HAVA) of 2002, which allocated $3.2 billion to improve the electoral process.25 HAVA established minimum election administration and voting equipment standards for the states to follow. It also created a national election management body, the US Election Assistance Commission (EAC). A bipartisan federal agency with limited authority centered on testing and certifying voting equipment, the EAC distributes HAVA funds to the states and serves as a clearinghouse for election best practices and procedures. The issue of inclusiveness, to provide voting equipment usable by all voters, was incorporated as a key HAVA provision. How do we create safe, secure, smart systems for people to be able to vote much easier [...]? With a looming 2006 deadline to comply with HAVA provisions, the nation’s 10,072 local voting jurisdictions hastened to procure and implement voting systems to meet the new standards, which encompassed the requirement to allow voters with disabilities, including blind and visually impaired voters, to vote privately and independently.26 While some jurisdictions chose to augment their existing systems with a limited number of electronic voting machines to meet the new HAVA requirements, others chose to purchase comprehensive electronic voting systems. Federal involvement with voting systems and technology next occurred in 2009 with the enactment of the Military and Overseas Voters Empowerment Act (MOVE).28 States were required to implement systems for the electronic transmission of blank ballots to military and overseas voters, thereby cutting transit time in half. Entering the 2016 presidential election cycle, a chorus of reports are sounding the alarm that voting systems purchased a decade or more ago with federal HAVA funds are reaching the end of their life cycle and will need to be replaced.29 Yet no federal funds are contemplated for investment in replacement voting systems, and the pressure of competition for government funding at the state and local levels typically leaves procurement of election equipment low on the priority list. Bill Sweeney, President of IFES, noted at the Atlantic Council conference that in the voting systems arena “the US is not the leading indicator, but the lagging indicator. A positive aspect of the autonomous, decentralized nature of the US system allows states and counties more flexibility and creativity to pilot various programs and experiment with new voting technologies. US Election Assistance Commissioner Matt Masterson emphasized the importance of this flexibility given the diversity of the American electorate. He offered Oregon and his home state of Ohio as examples; in Oregon, virtually everyone votes by mail-in ballot. In Ohio, says Masterson, this would be impossible. The same culture of trust does not exist from one state to another, resulting in different voting processes in different regions throughout the United States. Elections by their very nature are emotional, taking place in highly charged political environments where stakes are high. When examining voting system options, the importance of evidence-based decision making in a collaborative process is critical to enhancing credibility and fostering trust. Political parties, civil society, and independent electoral bodies must all play an active role in determining the myriad criteria for a legitimate and credible election. Unanimous support is not necessary, but building partnerships and fostering dialogue among all stakeholders and incorporating their concerns and ideas in an open, transparent process helps avoid contentious, polarized rhetoric surrounding voting systems. Collaborative efforts also help clarify objectives about electoral processes. taking into account generational considerations and expectations. In much of the world, aging and disabled populations are growing and the capabilities of election technology to improve the voting experience for these populations is significant. Similarly, the lives of younger voters are increasingly defined by the digital world, and they will want the elections process to reflect the rest of their lives. As they enter the electorate, will young citizens eschew participation if it feels increasingly antiquated and foreign? Additionally, population mobility impacts enfranchisement issues for citizens away from their home districts on election day, including overseas and military voters. These concerns highlight the need to reimagine the use of technology in the electoral process. In Nepal, citizens go through a voter education process to learn how to use new technology. Such trainings have proven useful in the implementation of new systems. Online activity has become ubiquitous; from shopping to banking to hailing a ride service at the click of a button, the opportunity to vote online is tantaliz- ing. However, widespread, documented instances of Internet hacking of commercial and government databases spark concerns about potential security breaches to a near-deafening volume when discussing online voting. Despite the challenges, several countries are pioneers in this new frontier. These countries o er voters, or a subset of voters (such as military and overseas citizens), the option of voting online from personal computers. The overriding motivations for this paradigm shift are providing greater accessibility and con- venience for voters and increasing voter turnout. This brief glimpse reveals where and how online voting is currently available, and where and why other online voting pilot projects have stalled or been abandoned. Currently the only country to allow online voting for all voters in national parliamentary elections, the percentage of voters choosing this option has steadily increased from 7 percent in the 2007 national election to 24 percent in 2011 to almost a third of voters in 2015. Since the 1990s, Estonia has built an e-government infrastructure to incorporate technology as a pervasive and widely accepted aspect of people’s lives. Estonians pay their taxes and access healthcare records online, making online voting part of a natural progression. Speaking at an Atlantic Council event in Silicon Valley, California, President Toomas Ilves reviewed issues of security, privacy, and the culture created in Estonia that has made Internet voting a viable option. Addressing issues of security, President Ilves sco ed at traditional safeguards of passwords and pins, instead favoring Estonia’s use of chip-enabled national ID cards. These cards are used for all aspects of e-governance, include voter authentication. In the most recent election, a record 30.5 percent of voters chose to cast their ballots online, with no statistically significant di erences with regard to voters’ age, income, political a liation, or residence (urban versus rural). Though security remains a prevalent concern for all countries, President Ilves stressed the importance of transparency in the process, referencing Transparency International’s excellent ranking of Estonia’s minimal corruption. “You can’t bribe a computer,” the President noted. Thirteen countries have conducted online voting trials.36 Since 2003, several municipalities in Ontario, Canada, have o ered online voting with a steady increase of up to 16 percent of voters choosing this option. In France, online voting o ered to out-of-country voters resulted in 310,000 expatriates voting online in the 2009 national election. In Australia, the state of New South Wales conducted an Internet pilot in March 2015 in which 280,000 or five percent of the voters, chose to vote online. By contrast, Norway recently decided to discontinue online voting following trials in 2011 and 2013 due to lack of evidence of increased voter turnout and concerns with security risks. More information is needed on many aspects of the electoral process and the potential impact of an expanded use of technology. The following recommendations address some of the obstacles to greater use of election technology with an eye toward its responsible implementation. The lack of statistical or economic analysis on the cost of electronic voting compared with paper voting is detrimental to determining which system is most cost effective. Election technology companies are convinced electronic voting is substantially less expensive than using paper ballots. Further debate on this issue requires an in-depth study to make such a determination. Respected institutions such as IFES or the International IDEA organizations that advocate for legitimate, inclusive elections, but do not derive any gain from the findings—could lead such a study. Financial and technical support for this project could be sought from regional and international election observation bodies, including the Organization of American States, the UN, and the Organization for Security and Cooperation in Europe (OSCE). In-depth cost-benefit research will be complex, requiring hiring econometricians, policy experts, and technical specialists. This analysis will need to consider initial acquisition cost, anticipated life span, maintenance and storage costs as well as cost- avoidance components. It will also need to consider differing ballot requirements. While the Indian elections have been successfully conducted using basic machines costing about $͔͔͗ per unit, governments needing equipment to accommodate complex ballot configurations presented in multiple languages and including a VVPAT require acquisition of more sophisticated and consequently more costly technologies. Secretary General of the Organization of American States (OAS), Luis Almagro, and former Colombia President Alvaro Uribe meet in Washington. The OAS has played a key role in election observation in the region. Currently no comprehensive international guidelines exist to guide the testing and certification of modern voting systems. Criteria regarding data processing, electronic transactions, data protection and security, usability and accessibility, and open source versus proprietary software are all relevant considerations. Best practices regarding pre-election testing, postelection ballot reconciliation, and auditing are not uniformly followed. The Council of Europe (COE) has produced basic guidance on best practices in electoral matters including electronic voting system standards; however, these 2002 and 2004 reports are regionally focused on COE member countries.39 By comparison, international guidelines and standards have been established with regard to election observation; the United Nations Electoral Assistance Division collaborated with the Carter Center and NDI to produce internationally recognized guidelines on best practices for elections observation.40 Additionally, OSCE’s election observation handbook, now in its sixth edition, is a comprehensive and respected guide.41 These institutions as well as the US Elections Assistance Commission and others would be important contributors to the discussion and development of international standards for electronic voting systems. International voting system standards would provide valuable guidance for governments in the process of procuring election technology. Establishing comprehensive international guidelines is vital. Some companies, in particular those with a track record of managing and implementing new election technology in a variety of countries, self-regulate to acceptable standards. Yet there remain few defined metrics for evaluation. As more companies and contractors enter the market, universally recognized guidelines would serve as an important indicator for potential users. International voting system standards would provide valuable guidance for governments in the process of procuring election technology services. Former UN Secretary-General Kofi Annan leads the Global Commission on Elections, Democracy, and Security, an internationally respected coalition of the world’s leaders of democracy.42͘This body has the experience and influence to lead a project in collaboration with other international electoral institutions to develop international standards for election technology. While Annan holds the political clout to lead a commission on these standards, third-party testing should also be included to provide technical validation. One of the most important tools in advancing the use and acceptance of electronic and other automated voting systems is employing qualified, independent testing of hardware and software. For testing to be effective and credible, establishing standards governing the various technologies is required. This includes an open and transparent certification process. A handful of accredited testing laboratories exist, such as in the United States where the EAC evaluates and certifies the test labs. Moving toward universal standards would assist election officials and governments across the globe when considering automating their voting processes. Currently there is great diversity in the way democracies organize the administration of elections and how election management bodies are structured. While there is no single successful “blueprint,” as highlighted herein, countries with robust, autonomous, and permanent electoral institutions that are free from politically motivated manipulation garner respect. Electoral bodies should be comprised of a cadre of election experts familiar with their country’s electoral laws, experiences, and overall best practices. By maintaining political independence and by engaging the full range of election stakeholders in the election process, election management bodies can be a source of knowledge and credibility to support transparent, inclusive, legitimate elections. Political leaders of democracies need to provide election bodies with the funding and tools required to administer the election process in a way that safeguards public integrity and credibility in the democratic process. This includes the kind of support to acquire technology, engage in research to improve the registration and voting process, and adhere to recognized election standards. Brazil, India, Mexico, and South Africa are among noteworthy examples that merit praise for their strong, independent, and effective electoral institutions. Other democracies, new and old, should look to them as models. Conny McCormack is a recognized international election administration expert who has assisted and advised numerous election authorities including in Albania, Indonesia, Nigeria, Russia, United Kingdom, and Yemen; she has also served as a member of election observation missions in Armenia, Egypt, and Mexico. For twentyfive years she worked as a US election official, including from 1996 to 2007 as the Chief Election Officer for Los Angeles County, California, the largest election jurisdiction in the United States with 4.5 million registered voters. Previously, she served as the election official for San Diego County, California, and for Dallas County, Texas. She has testified on election issues at hearings of the US Senate Rules Committee and US House Administration Committee. McCormack wrote the book Recounting the Vote: What Does It Cost? She holds a M.A. in Politics and Public Affairs from the University of Miami, Florida, and a B.A. in Political Science from Virginia Tech University. This initiative is made possible through the generous support of Smartmatic. Kofi Annan, Deepening Democracy: A Strategy for Improving the State of Elections Worldwide, Paperback Foundation, Nov 26, 2012. List of participants at Appendix A. List of participants at Appendix B. The Voting Information Project, a joint project between Pew Charitable Trusts, Google, and the states, provides voters with online information on their voting location and ballot content, resulting in twenty-five million lookups in 2012 and thirty-one million in 2014. See “Voting Information Tools,” Pew Charitable Trusts, http://www.pewtrusts.org/en/projects/election-initiatives/about/voting-information-project/voting--information-tools. Most democracies involve a type of universal voter registration. See the “Voter Registration Topic Area,”ACE Project, http://aceproject.org/ace-en/pdf/vr/view. The May 2015 UK Elections: Report on the Administration of the 7 May 2015 Elections, Including the UK Parliamentary General Election, Electoral Commission of the United Kingdom, May 7, 2015, http://www.electoralcommission.org.uk/__data/assets/pdf_file/0006/190959/UKPGE-report-May-2015-1.pdf. Household voter registration was recently replaced by individual voter registration, no longer allowing universities to register students en masse. See “The Electoral Registration and Administration Act 2013: (Transitional Provisions) Order 2015,” Government of the United Kingdom, 2015, http://www.legislation.gov.uk/uksi/2015/1520/pdfs/uksi_20151520_en.pdf. “ICTs in Elections,” International Institute for Democracy and Electoral Assistance (International IDEA), http://www.idea.int/elections/ict/field.cfm?field=497. Electronic or e-voting is defined as the voter directly recording preferences using an electronic device that captures and accumulates vote totals. See Ami Sedghi and Simon Rogers, “Do We Trust Our Government? See How Your Country Compares,” Guardian, January 24, 2012, http://www.theguardian.com/news/datablog/2012/jan/24/trust-in-government-country-edelman. For ballot spoilage rates by reporting country in the 2014 elections, see “Invalid Votes,” International IDEA, http://www.idea.int/vt/field.cfm?field=106. Postelection auditing typically involves a random count of a small number of ballots (2-5 percent) to compare paper backup results with the e-voting totals. The most extensive postelection audit occurs in Venezuela, where randomly selected ballot boxes from 50 percent of the voting locations are opened in the presence of observers immediately after the polls close and VVPAT receipts are tallied to compare with the electronic totals. Since 2004, all elections in Venezuela have been conducted via e-voting equipped with VVPAT. For general information on parallel vote counting, see Parallel Vote Tabulations Infographic, Malawi Electoral Support Network, http://www.mesnmw.org/wp-content/uploads/2013/06/MESN-PVT-Infographic-A4.pdf. See Rafael Lopez-Pintor and Jeff Fischer, The Cost of Registration and Elections (CORE) Project, IFES, Center for Transitional and Post-Conflict Governance, 2005, http://www.gsdrc.org/docs/open/po50.pdf. It takes a holistic approach by examining all aspects of election costs from personnel to supplies to equipment in a sample of countries. S.Y. Quraishi, An Undocumented Wonder, The Making of the Great Indian Election, (Rupa Publications: New Delhi, India, 2014). Ben Goldsmith and Holly Ruthrauff, Implementing and Overseeing Electronic Voting and Counting Technologies: Case Study Report of Electronic Voting in the Netherlands, National Democratic Institute and the International Foundation for Electoral Systems, undated, https://www.ndi.org/files/5_Netherlands.pdf. See “Ze Willen Toch Weer Stemcomputers!” Wijvertrouwenstemcomputersniet.nl, http://wijvertrouwenstemcomputersniet.nl/Wij_vertrouwen_stemcomputers_niet (in Dutch). Voting Machines: An Orphaned File, 2007, Voting Machines Decision-Making Commission, April 2007. Leontine Loeber, E-voting in the Netherlands; Past, Current, Future?, University of East Anglia, October 2014, http://www.e-voting.cc/wp-content/uploads/downloads/2014/10/evote2014_loeber_p43-46.pdf. Eddy Habben Jansen, Electronic Voting in the Netherlands, The Hague, Netherlands, February 2012, https://www.prodemos.nl/content/download/5147/25693/file/Electronic%20Voting%20in%20the%20Netherlands.pdf . Second Report on the Commission on Electronic Voting on the Secrecy, Accuracy, and Testing of the Chosen Electronic System, July 2006, http://www.umic.pt/images/stories/publicacoes1/Part%200%20Index.pdf . Paul Melia and Luke Byrne, “€54M Voting Machines Scrapped for €9 Each,” Irish Times, June 29, 2012, http://www.independent.ie/irish-news/54m-voting-machines-scrapped-for-9-each-26870212.html . See “Conference Report,” Help America Vote Act of 2002, US House of Representatives, 107th Congress, 2nd Session, October 8, 2002,http://www.gpo.gov/fdsys/pkg/CRPT-107hrpt730/pdf/CRPT-107hrpt730.pdf . The number of local election jurisdictions in the United States, including counties and townships, responsible for conducting federal-level elections. See Election and Data Services’ website, http://electiondataservices.com. See “National Defense Authorization Act for Fiscal Year 2010,” 111th Congress, Public Law 84, US Government Printing Office, https://www.gpo.gov/fdsys/pkg/PLAW-111publ84/html/PLAW-111publ84.htm . The American Voting Experience: Report and Recommendations of the Presidential Commission on Election Administration, Presidential Commission on Election Administration, January 2014, https://www.supportthevoter.gov/files/2014/01/Amer-Voting-Exper-finaldraft-01-09-14-508.pdf ; Lawrence Norden and Christopher Famighetti, America’s Voting Machines at Risk, Brennan Center for Justice, New York University School of Law, 2015, https://www.brennancenter.org/sites/default/files/publications/Americas_Voting_Machines_At_Risk.pdf . See Automatización del Proceso Electoral, Observatorio del Voto-E en Latinoamérica, http://www.voto-electronico.org/images/reportes/Paraguay.pdf (in Spanish). State Election Administrator Linda Lamone speaking before Maryland’s State Board of Elections on October 30, 2014, described this rationale for lease rather than outright purchase of a replacement voting system. See “E-Voting,” Swiss Confederation, https://www.ch.ch/en/online-voting/. A Survey of Internet Voting, US Election Assistance Commission, Testing and Certification Technical Paper #2, September 14, 2011, http://www.eac.gov/assets/1/Documents/SIV-FINAL.pdf. Natalie E. Tennant, West Virginia Uniformed Services and Overseas Citizen: Online Voting Pilot Project, Legislative Report, West Virginia Secretary of State, June 9, 2010, http://csrc.nist.gov/groups/ST/UOCAVA/2010/PositionPapers/ZICKAFOOSE_WestVirginiaUOCAVA.pdf. 17 Computer Scientists: Invest More in Military Internet Voting, The National Defense Committee, January 2013, http://www.nationaldefensecommittee.org/wp-content/uploads/2013/01/computer-scientists-for-internet-voting-research-release-of-v1812-23jan-13.pdf. Code of Good Practice in Electoral Matters: Guidelines and Explanatory Report, European Commission for Democracy Through Law (Venice Commission), October 2002. (The Venice Commission is the Council of Europe’s advisory body on constitutional matters. ); Legal, Operational, and Technical Standards for E-Voting, Council of Europe, September 30, 2004, http://www.coe.int/t/DEMOCRACY/ELECTORAL-ASSISTANCE/themes/evoting/Rec-2004-11_en.pdf. Declaration of Principles for International Election Observation and Code of Conduct for International Election Observers, United Nations, commemorated on October 27, 2005, http://www.osce.org/odihr/16935?download=true. Election Observation Handbook, Sixth Edition, Organization for Security and Co-operation in Europe, 2010, http://www.osce.org/odihr/elections/68439?download=true. © 2016 The Atlantic Council of the United States. All rights reserved. No part of this publication may be reproduced or transmitted in any form or by any means without permission in writing from the Atlantic Council, except in the case of brief quotations in news articles, critical articles, or reviews. Tech in Elections: How Can It Support Stronger Democracies? People can call a taxi and book a hotel from their phones—but in much of the world, even the most developed countries, they vote on paper ballots. With an increasingly tech-literate society, how can governments take advantage of technological innovation to make their elections more reflective of twenty-first century realities? What must be done to introduce technology into the voting process, and how can it be done in a way that delivers greater transparency, trust, and efficiency? The Atlantic Council believes that technology’s forward march is inevitable and its use in elections will accelerate. Here are the principle benefits and obstacles to achieving that. Accuracy: from fraud prevention to avoiding human error, technology can help ensure that ballot reflect the will of the people. Speed: by tallying and reporting election results faster, electorates have greater faith that the vote was not tampered with. Increasing public trust is critical. Security: public perception around the security of electronic voting is shaky due to high-profile data breach cases and misinformation about the vulnerability of electronic voting machinery. But is that inevitable? Cost: there is little information on the cost of procuring and maintaining electronic voting machines, leaving governments ill-equipped to decide if it is worth the investment. What is the real cost-benefit balance of electronic voting? What does electronic voting cost? Time to find out. The debate about electronic technology in elections is adrift without a comprehensive financial analysis. Independent institutions such as IFES and International IDEA should conduct comprehensive research to determine the real cost of electronic voting. Getting on the same page: time to establish international guidelines. For governments to make informed decisions, international guidelines for electronic voting machinery must be established. Organizations such as the Carter Center and the National Democratic Institute have created these frameworks for election observation, and would be well-positioned to do so for electronic voting systems. Autonomous, apolitical, and well-funded election bodies make for transparent, credible elections. Success follows independent electoral bodies and governments must prioritize autonomous, empowered institutions to run strong, legitimate elections.